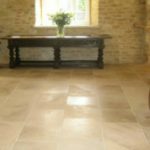 With the extensive choice of tiles available online or in store, we are spoilt for choice when it comes to creating a contemporary or traditional designed interior or exterior space. In fact, researching tiles and designs, shapes, colours and textures can be a mind boggling minefield. If you have not got a clear perception of the tile design you wish to create or just need a little inspiration to help piece together your ideas and aspirations, then I suggest looking on www.pinterest.com. I am a BIG believer in the common saying and I quote “A picture speaks a thousand words” and a few 3 key word searches on pinterest such as; geometric tiles bathrooms, Moroccan tiles flooring or trendy floor tiling; will prove that. In a split second, or maybe a little more depending on your broadband provider and download speed, you will have a wealth of fantastic inspiring ideas at your fingertips and to use when investigating where to purchase your tiles and to discuss with contractors. And remember, your searches do not necessarily have to be based on tiling, tiles, or bathrooms etc. If you have a theme, place or even cultural influence in mind, you can always add key words to reflect these as well. Such results can then always lend themselves to the choice of colours patterns and textures you might make to try and replicate such themes in your tiling finishes. I am currently starting to utilise this very effective tool and welcome anyone to follow us online. More and more inspiring tiling installation images, themed boards plus tile ranges and natural stone products we already promote will be uploaded soon.